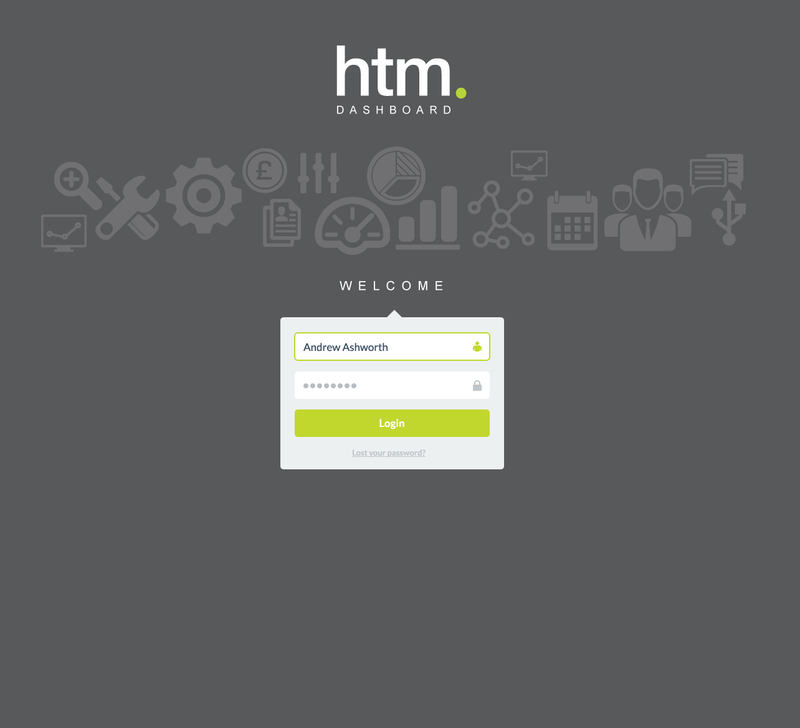 This is why our HSIA Guest Support comes with a high quality offering as standard, usually contracted over a period of three years. Most faults are fixed remotely, however when necessary, we will, as you would expect, send an engineer to your hotel to fix the problem. 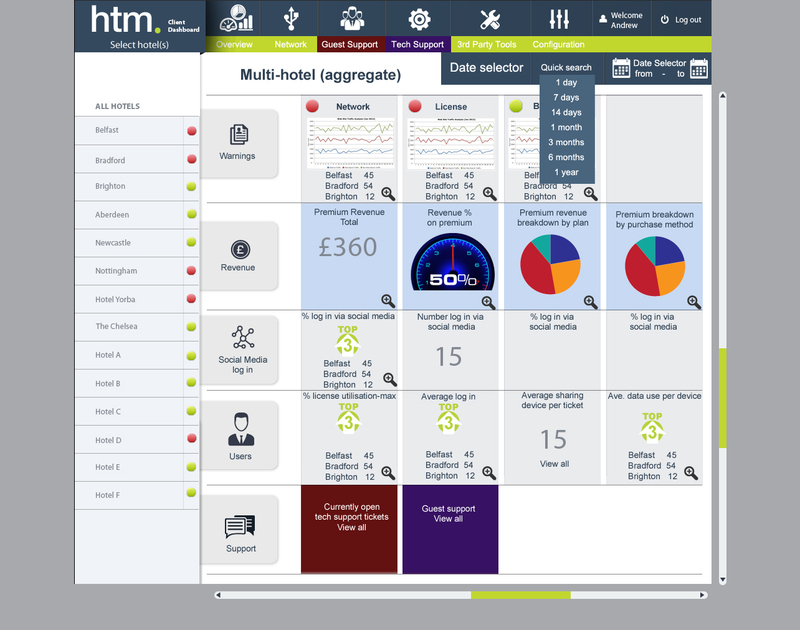 htm’s Network Operating Centre (NOC) monitors the broadband connection to the hotel constantly to minimise potential disruptions to the guest HSIA service and report any fault to the service provider, then update the hotel (usually before the hotel realises it has a problem). 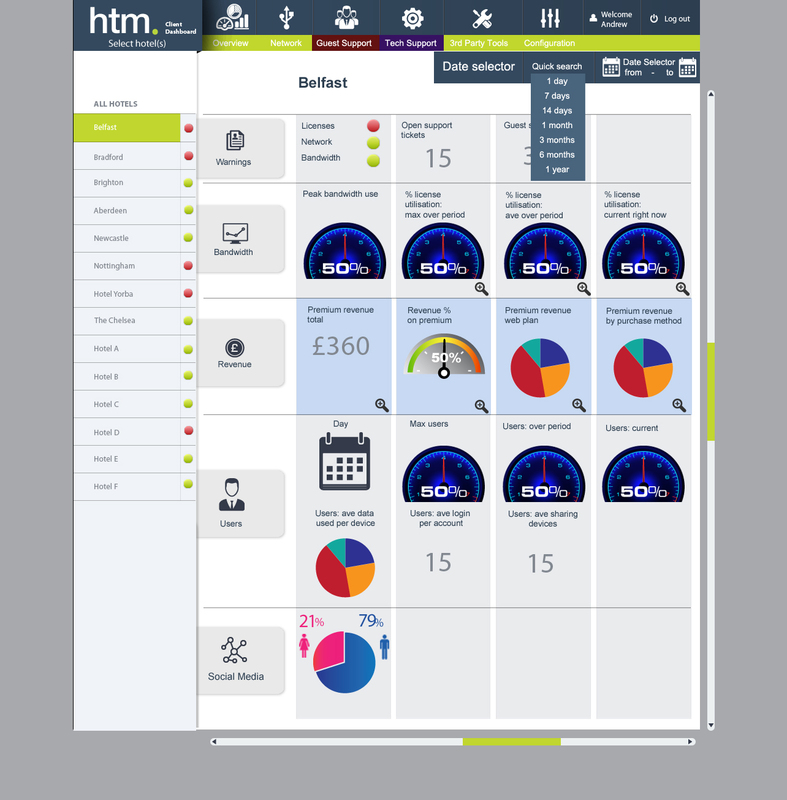 All information pertaining to calls, issues and bandwidth availability, as well much more, is delivered onto our Client Dashboard for you to review as part of your IT management tools.